a night dedicated to our family. In fact if you call during this time we won't answer the phone. We call it Family Home Evening. We have a prayer, song, scripture, talk about family business for the week, have a small lesson, an activity, and a treat. We rotate through the responsibilities so everyone gets a turn. 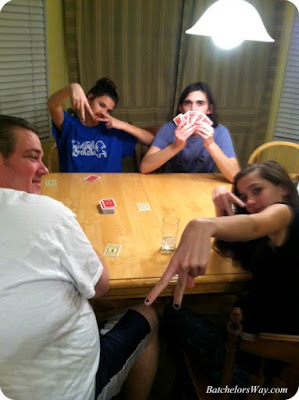 Some nights we play cards or board games. 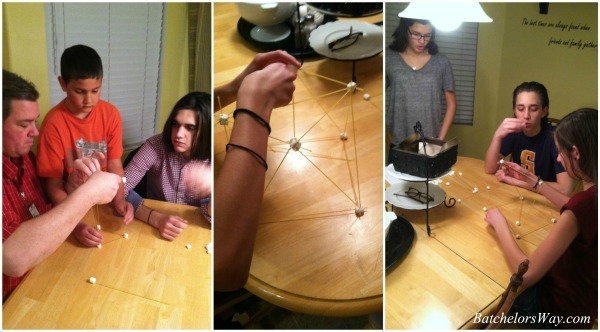 One night we divided into teams to see who could build the tallest tower, using uncooked spaghetti noodles and marshmallows. Often our lessons are spiritual in nature, but they don't have to be. 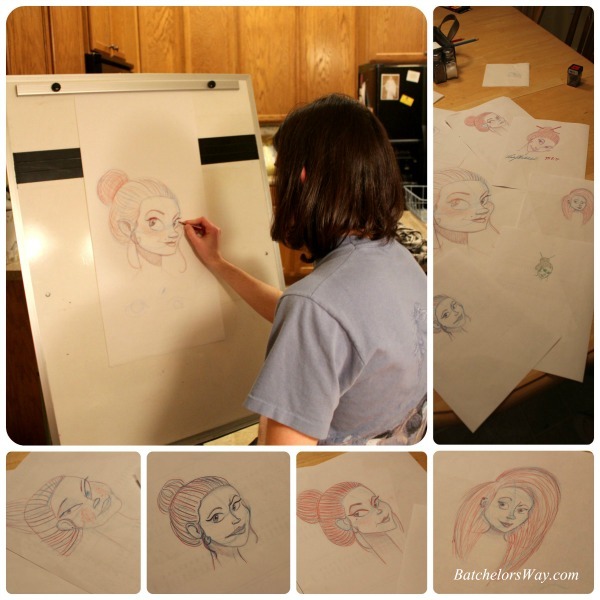 One night, Jaysen taught us all how to draw an animated character. OK, his looks amazing, but I don't think the rest of ours looks half bad!! Being in charge of the treat is every ones favorite. One time Les made up his own recipe and it quickly became a family favorite. 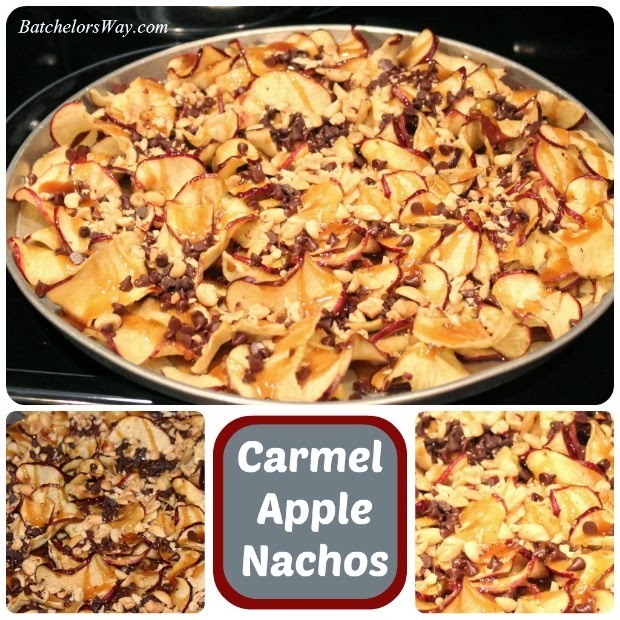 He calls it Carmel Apple Nachos. Spread the apple chips on a cookie sheet. Sprinkle the mini chocolate chips and chopped nuts on top. Drizzle the caramel on top off all of it. Put in a warm oven just long enough for the mini chocolate chips to melt. I just wanted to share this idea. We are in no way the perfect family, but we are trying to be the best family we can be. This time together helps us to grow and bond with each other. I hope this inspires y'all to spend some time with your families. Families are really one of our most important things! !